Our Glass Sawing Process uses diamond blades to cut glass, quartz, ceramics, and other hard nonferrous materials. More precise than Score/Snap Cut (Tolerances usually are +/- 0.005 inch, but closer tolerances are available), Saw cutting offers a finished edge and is perfect for larger quantities. Glass is blocked using wax, which allows us to stack many layers for processing. 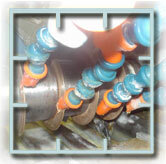 Stacking allows us to cut many more of your parts faster, cutting down on your cost. Our Cleaning process removes the wax from the glass and our Inspection process insures that you will get your part as clean and as scratch free as possible. 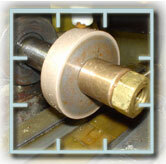 We also Machine glass using conventional abrasive tooling and/or diamond tooling. Our capabilities include custom in-house manufacturing of diamond composite tooling to use for your specific job. Sometimes it is easier and less expensive to make your component out of several individual glass parts. 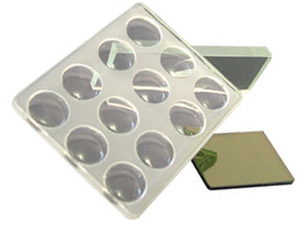 We can build your component by adhering glass to glass, glass to metal, glass to plastics and many other materials using a UV cement process.